VMware provides us with a solution to reset the password of the default SSO admin account (KB2034608) but it requires the master password. 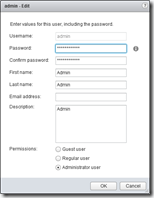 The master password is set during installation, the password provided for the default SSO admin account is used as master password, but it is not the same password as the default SSO admin account. Although we can change the password of the default SSO admin account ([email protected]), changing the master password is not possible (or supported). After the password of the default SSO admin account is changed the master password is still unusable. 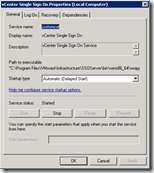 The vCenter Single Sign On Service stores all data in a databases, including the principals. 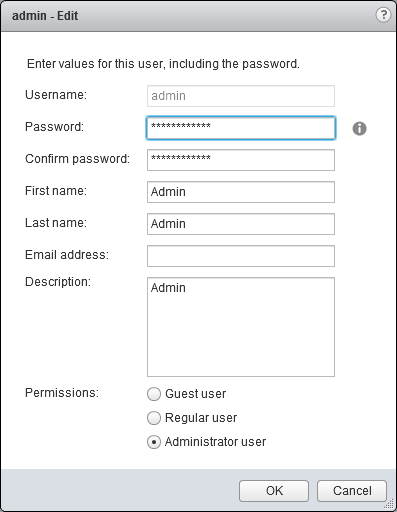 The credentials of the default SSO admin account are stored in the IMS_PRINCIPAL table. One of the stored properties is a SSHA-256 (salted) hashed password. Changing the password is as easy as replacing the hash (also known as pass the hash) from a clean vCenter SSO service installation. Connect to the SQL database (default is RSA) and execute the statement below to reset the password of the default SSO admin account to Password! 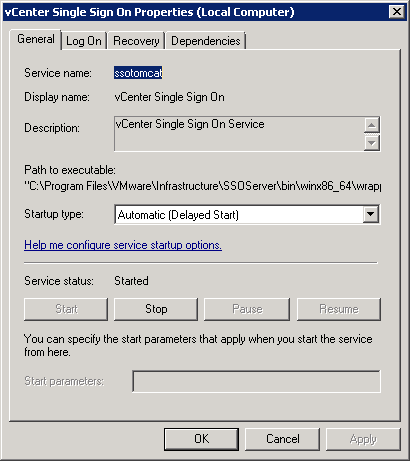 Restart the service “vCenter Single Sign On” to apply the changes. 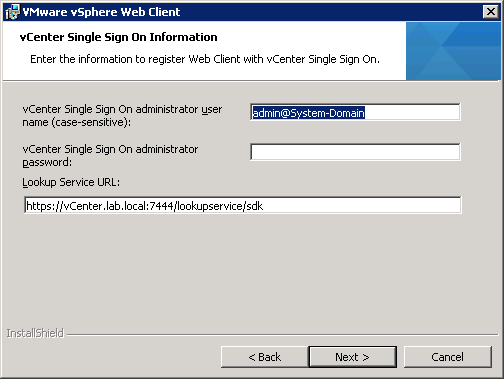 Connect to the VMware vSphere Web Client and authenticate with the new default SSO credentials (username : [email protected] and password : Passw0rd! ). Please avoid the use of special characters in your SSO administrator password like (^ * $ ; ” ’ ) < > & | \ _”), non-ASCII characters and trailing “ “ space as the vCenter SSO service cant’ handle it (KB2035820)! To avoid this situation in the future I wrote down some lessons I learned. Although their very obvious, it’s good to keep them in mind. I am trying your query vs our VMVSSO DB, but I got warning:unable to determine if the windows firewall is blocking remote debugging. Are you using the SQL Management Studio software to connect to your SQL server? Is it Password! or Passw0rd! ? Hi Eric. It’s supposed to be “Passw0rd!”, doesn’t that work? Did you restart the server for it to take effect? Thank you for the article. Helped me out greatly in re-installing the web client. Did you restart the service (or better, the server)? We’re about to upgrade to 5.5 – looks like that sets up a separate domain within the SSO database – [email protected]? That being the case, do I need to recover [email protected]? Hi Thom. Did you restart the entire server? And what version are you currently using? Hi, did you get the answer to your question — did you need the SSO password for 5.1 when you upgraded to 5.5?? I am using 5.1, I changed the hash , restart the server, still get the information “Provided credentials are not valid”. I guess it is because of different salt. Reset SSO password.. rebooted. Version 5.1 running but still not working for credentials. I tried this and was still getting the same error. When I looked in the vm_ssoreg.log in the temp directory it stated that the credentials had expired. For the old password I used what I set it to from the hash above and then entered a new password and everything worked. Thanks Ingmar for this article. However, like others have posted, the invalid credentials error persisted though. Thanks to Mike for the KB link, save me BIG TIME!!! *The hash trick is necessary before proceeding with the KB. Thak you Ingmar and Mike!! I had both problems, didn´t know the SSO admin password and it was expired (The default policie is the password expires after 365 days) and following your instructions and links, everything worked perfectly! OMG,, you just saved my @55 big time! THANK YOU~!!! but when i try to install or update my version of vcenter 5.1, it asks for the master password and it is not working. Actually i get 0 rows affected when i run it. why is that? Invalid object name ‘ dbo . IMS_PRINCIPAL ‘. this was the best solution for me. worked perefectly. This worked perfectly for me! Thanks for putting your time in to document this. It worked fine.. Thank you very much for posting this..
After updating the hash in DB I am able to log into webclient with new password so why do I need to restart SSO service?